This comfortable jersey vest top is a must-have ready for warmer days. 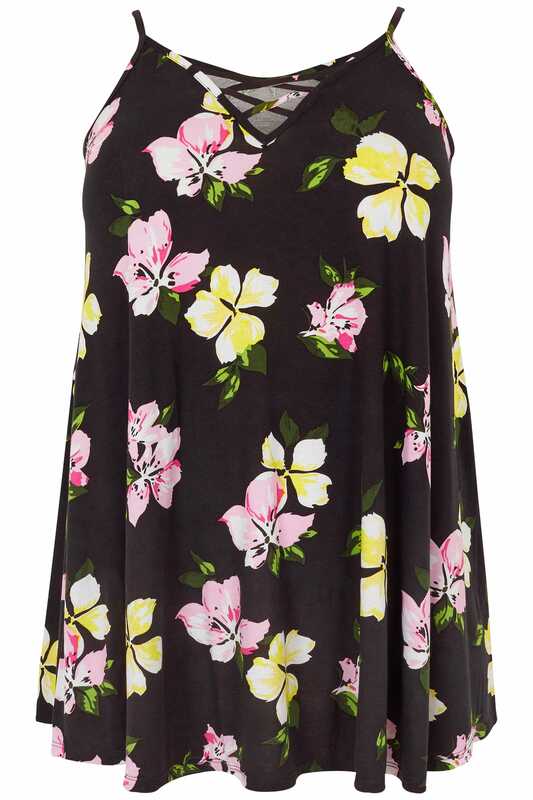 In a longline style with a slight swing at the hem, it features a lattice style v-neckline for added appeal. Team with denim and flats for a go-to off-duty look. 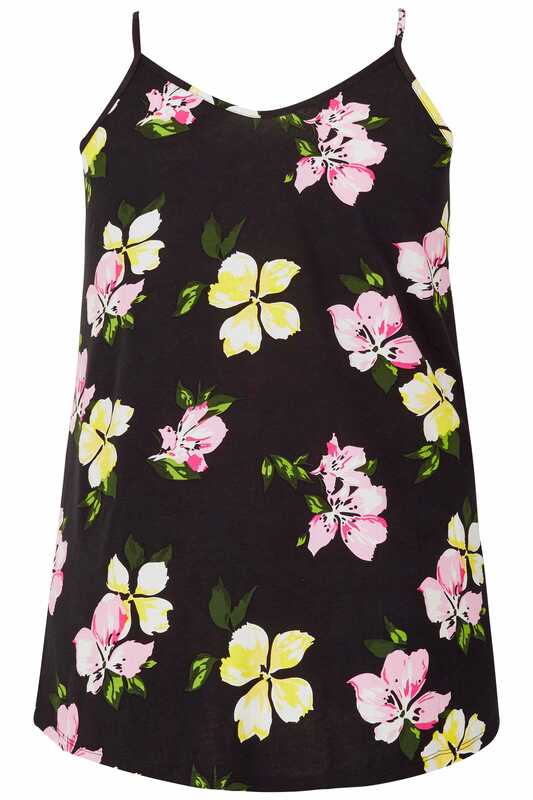 A must-have staple, we love the stylish floral print.